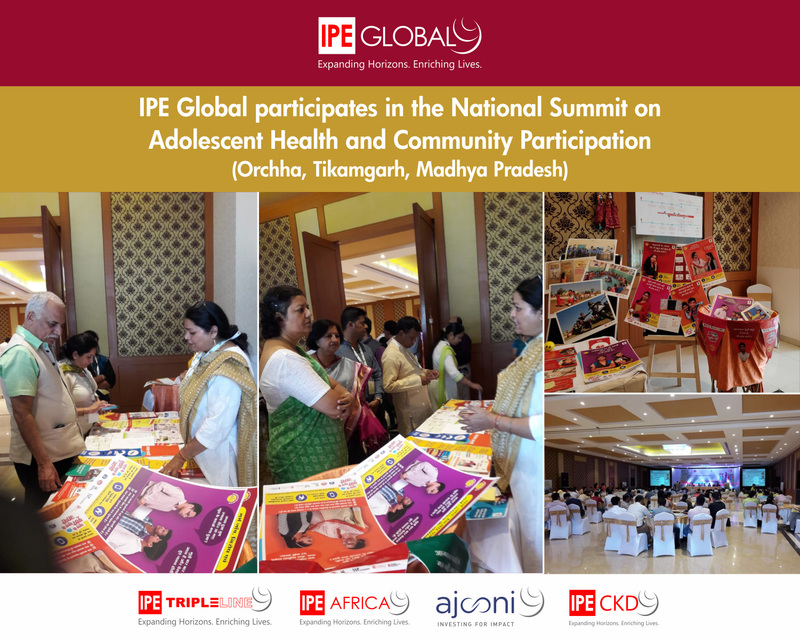 The National Health Mission, Madhya Pradesh and United Nations Population Fund (UNFPA) together organized a National Summit titled, “Game Changing Innovations, Integration and Initiations for RKSK and PLA” in Orchha, Tikamgarh, Madhya Pradesh from September 26-29, 2018. The objective of the summit was to share the experiences, innovations incubated by the state to implement peer education program and participatory learning and action (PLA) and to learn best practices from other best performing states. It also focussed on deliberating how to make these flagship initiatives of GOI more sustainable and replicable. The event also gave a forum for discussion to see the possibilities of replication and also to understand the initiatives undertaken by other states with adolescents from varied socio-economic and cultural background. Sessions on community engagement for better health outcomes for young people, empowerment of adolescent’s especially young girls and adolescent health-National policy perspective were organised. More than 9 states participated in this event. Development partners such as BMGF, Centre for Catalysing Change, CHETNA, HIHT, ICRW, JHPIEGO, MAMTA, PSI, Packard Foundation, Path Finder, PHFI, TATA Trust, USAID, UNICEF, WHO and YP Foundation participated in the event. IPE Global got an opportunity to showcase various IEC material developed by the support of NHM, Rajasthan and Children’s Investment Fund Foundation (CIFF) under Udaan project in an exclusive exhibition stall. Smt. Gauri Singh, Additional Chief Secretary, Government of Madhya Pradesh and Dr. Manohar Agnani, Joint Secretary, MOHFW, GOI visited Udaan stall besides other Government officials.